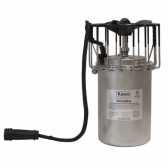 Kasco’s NSF / ANSI certified products include our highly effective tank mixer, otherwise known as our CertiSafe unit. With drinking water and public health in mind, Kasco developed this unit to stand by our commitment to the potable water industry. Tested and certified to strict safety and quality standards, these products are ideal for creating water flow and mixture in municipal water tanks 10,000 gallons and larger. Properly mixing and aerating potable water helps introduce vital oxygen, control water temperature, prevent thermal stratification, and safely circulate chemical additives. These all contribute to ensuring your water is safe to drink and your tank is free from any associated damage. Avoiding thermal stratification with a CertiSafe tank mixer is the easiest way to improve the water quality in your tank. Kasco has designed CertiSafe to ensure complete mixing from top to bottom, eliminating thermal stratification and ice buildup. The key is to install CertiSafe and begin mixing your tank before there is a problem, which will result in lower costs that can result from ice damage. A problem that often works hand in hand with thermal stratification, ice buildup can not only cause water quality issues by producing thermal stratification, but can also cause costly damage to the internal surface of your tank. 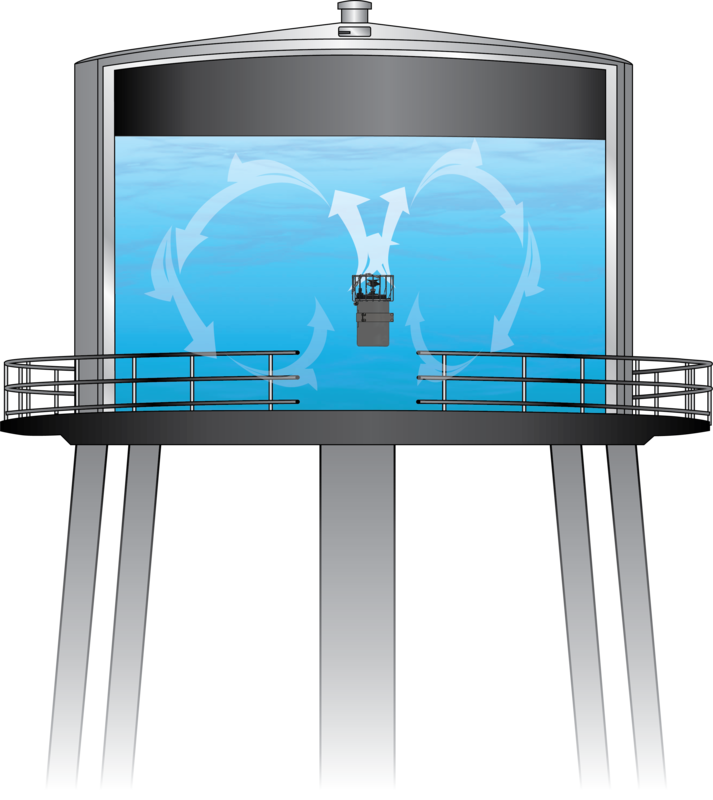 Additionally, inflow and outflow can mobilize this damaging ice and greatly increase the surface area of damage within a tank. Proper mixing of chlorine residuals needs to be achieved throughout the tank to reap the rewards of chlorine treatments. Certified to NSF/ANSI 61 & 372 standards, Kasco’s CertiSafe Circulators / Mixers are designed to safely and effectively mix municipal tanks 10,000 gallons and larger.